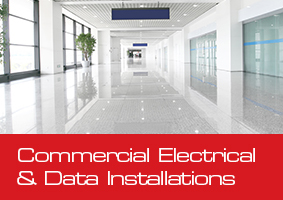 Our team of specialist electricians and data engineers have a track record of successfully completing contracts for a whole range of customers, from LED lighting in shops to Smart Home Systems, Data Cabling for offices to CCTV in Warehouses. Based in Sussex, we are able to provide full contract support across the South East, London and across the UK and are able to tackle any size of job, from sorting out minor problems around the home, to full scale installations in major buildings and commercial premises. Every member of the team is fully qualified and professionally accredited, ensuring they can install all the latest technology and systems, quickly, cleanly and efficiently. Our data technicians are all skilled in the installation, termination and testing of Cat 5e, Cat 6, Cat 6a & Cat 7 Fibre Optic and Voice backbone cabling. All our engineers have access to the latest Fluke test equipment for both electrical and data installations. HR Cabling deliver a complete service, from initial inspection through to hand over documentation. All work practises comply with strict Health & Safety policies, and for your added assurance we always ensure that risk assessments and method statements are produced prior to starting work. 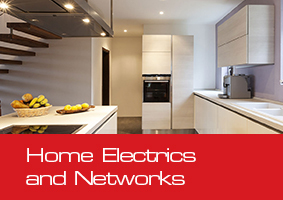 The Smart home systems provide as much control over the electrical devices in your home as you require, providing the household with complete control and flexibility over all aspects of lighting, telephone, internet, TV and Satellite TV.